We would also like to share with you a summary of Rhode Island’s newest cabinet office and cabinet position as well as the statutorily dictated roles of the two. Thank you for reading. Rep. Patricia Serpa (West Warwick, Coventry, Warwick) has submitted two bills to exempt commercial heating fuel from state taxes. The first bill, H 5522, would exempt fuel oil, propane and natural gas for heating by commercial establishments from state taxes. Sen. Lou Raptakis (Coventry, East Greenwich, West Greenwich) has introduced an identical bill, S 0107 on the Senate side. Representative Serpa’s second bill, H 5281, is similar to the first, except that it would limit the exemption to fuel oil only. Rep. Aaron Regunberg and Sen. Gayle Goldin (both of Providence) have introduced legislation to raise Rhode Island’s “tipped workers” wage. The legislation would raise the state’s tipped minimum wage from the current rate of $2.89 per hour until it is in line with Rhode Island’s regular minimum wage (currently $9.00 per hour) by 2020. Though enacted by the General Assembly late in the 2013 legislative session, The Rhode Island Commerce Corporation and Secretary of Commerce have just recently begun to see the legislative intent of the office and position take hold. 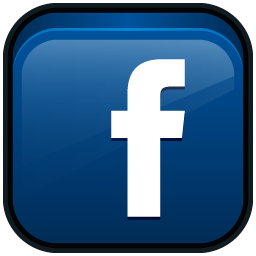 (The Commerce Corporation –formerly the Economic Development Corporation- became an active component of state government in January 2014, but many of its newly authorized duties just began to move forward on February 1st. The new Secretary of Commerce, Stefan Pryor, became Rhode Island’s first Secretary of Commerce after the Senate confirmed his nomination in early February.) The legislation creating the new department and cabinet position can be found here: House Bill number 6063 SUB B; Senate Bill number 1048. 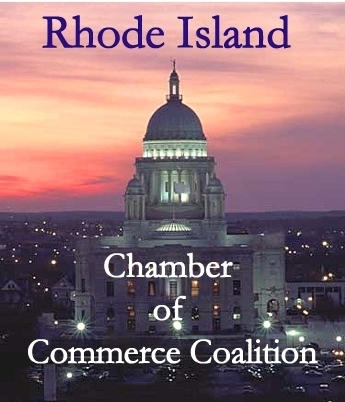 The Rhode Island Commerce Corporation and the Secretary of Commerce currently oversee only two portions of state government or quasi state government. Those two are the Rhode Island Commerce Corporation (formerly the RI Economic Development Corporation) and the RI Department of Business Regulation. However, as written in the authorizing legislation, around April 1st of this year, [they] shall commence to operate the regulatory reform and housing/community development functions currently assigned to the Department of Administration. Furthermore, (with the goal of strengthening the corporation and secretary’s authority) around September 1st, [they] will provide to the Senate and the House of Representatives a comprehensive study and review of the roles, functions, and programs of the Department of Administration and the Department of Labor and Training to devise recommendations and a business plan for the integration of these entities with the office of the Secretary of Commerce. 1) Coordinate the administration and financing of various departments or divisions within the office and to supervise the work of the Rhode Island Commerce Corporation. 2) Serve as the Governor’s Chief Advisor and Liaison to federal policymakers on economic development as well as be the principal point of contact in the state on any such related matters. 3) Review and ensure the coordination of the development of an overarching economic development plan as produced by the office. 4) Receive from department directors, within the timelines specified, any information and resources the secretary deems necessary in order to perform the reviews authorized in this section. 5) Engage in regulatory reform across all state agencies to protect the health and wellbeing of Rhode Islanders while meeting business needs for a clear, predictable, and reliable regulatory structure in the state; including the implementation of systems to enhance customer service by simplifying and expediting state permitting processes. 6) Prepare and submit to the governor, chairpersons of the House and Senate Finance Committees, and the Caseload Estimating Conferences, no later than April 15 of each year, a comprehensive overview of the Rhode Island economy. The secretary shall determine the contents of the overview and shall determine the important economic data and information that will inform the governor, and the revenue estimating committee on the economic conditions of the state and future issues and forward looking projects on the Rhode Island economy. 7) The directors of the departments, as well as local governments and school departments, shall assist and cooperate with the secretary in fulfilling this responsibility by providing whatever information and support shall be necessary. 8) Resolve administrative, jurisdictional, operational, program, or policy conflicts among departments and their executive staffs and make necessary recommendations to the Governor. 9) Assure continued progress toward improving the quality, accountability, and efficiency of state-administered programs to support the Rhode Island economy. 10) Prepare and integrate comprehensive budgets for commerce services departments and functions and duties assigned to the office. The budget shall be submitted to the state budget office by the secretary, for consideration by the governor, on behalf of the state’s commerce agencies (in accordance with provisions set forth in section 35-3-4 of RI General laws). 11) Utilize objective data to evaluate economic development policy goals, resource use and outcome evaluation to perform short and long-term policy planning and development. 12) Establish an integrated approach to interdepartmental information and data management that complements and furthers the goals of the Council of Economic Advisors and facilitates the transition to a consumer-centered system of state administered economic development programs and services. 13) At the direction of the Governor and the General Assembly, conduct independent reviews of state-administered economic development programs, policies and related agency actions and activities and assist the department directors in identifying strategies to address any issues or areas of concern that may emerge thereof. The department directors shall provide any information and assistance deemed necessary by the secretary when undertaking such independent reviews. 14) Provide regular and timely reports to the governor and make recommendations with respect to the state’s economic development agenda. 15) Employ such personnel and contract for such consulting services as may be required to perform the powers and duties lawfully conferred upon the secretary. 16) Implement the provisions of any general or public law or regulation related to the disclosure, confidentiality, and privacy of any information or records, in the possession or under the control of the executive office or the departments assigned to the executive office, that may be developed or acquired for purposes directly connected with the secretary’s duties.